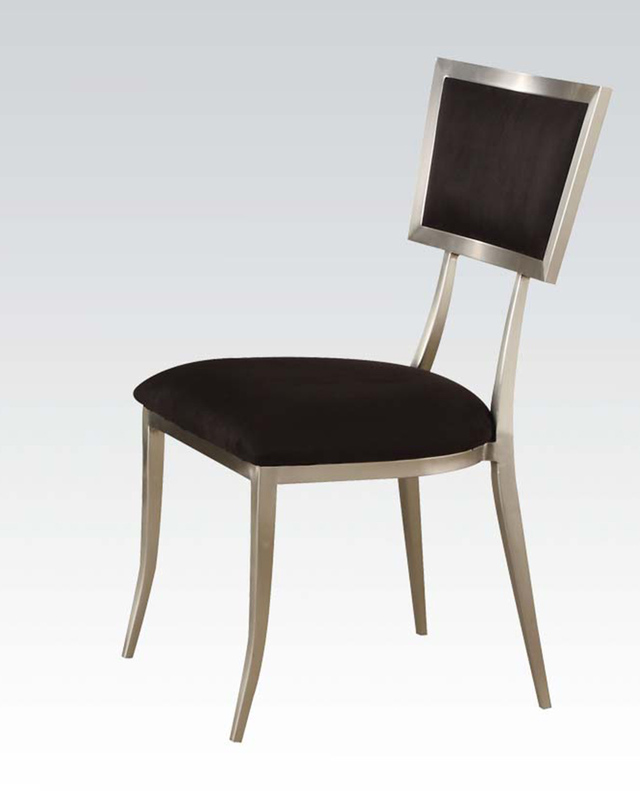 The Abbott collection will add the modern sense to every dining room. The dining set features black glass table top with metal plate, and the matching chair uses black microfiber which will perfectly warm the dining area. The collection is sure to show the good taste of your decor.